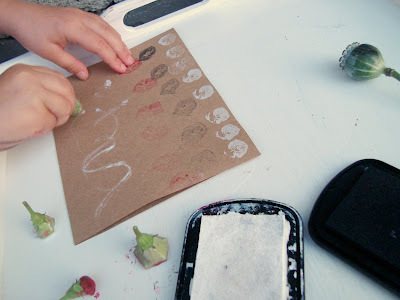 We used Color Box pigment stamp pads. 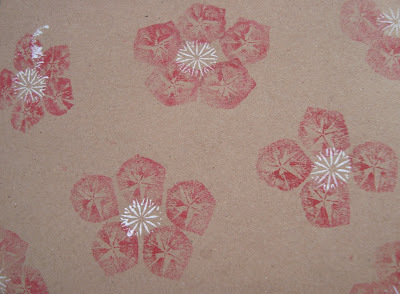 I use these for my own stamping on paper. I love how saturated they are with ink. 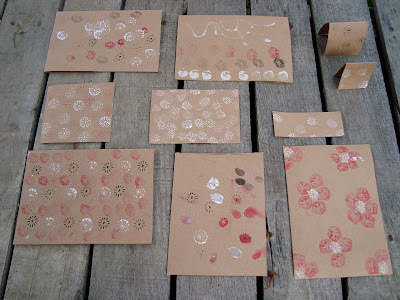 Scraps of Kraft paper were cut into notecards and we proceeded to make stationery printed with bits from our yard in August. 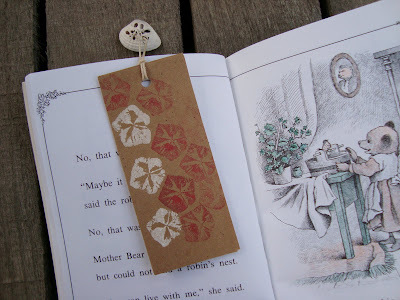 Little pieces make great book marks for summer reading. I backed the paper with our version of cardstock, a cereal box. Punched a hole. Threaded some hemp string through a shell my daughter had chosen, and tucked it into her book of the hour. Isn't her Campanula stamping lovely? I had a wonderful discovery yesterday after another huge storm... the dried out poppy pods can be brought back to life after a torrential downpour. They just need a good soaking! 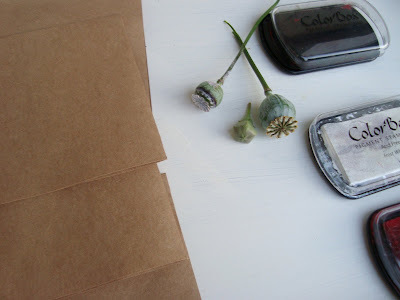 Next up: some little samples of our new garden FABRIC stamped with pods. That's such a lovely, simple idea with beautiful results. Can't wait to try it too! oh so early to show us this! of our favorite books too!! Hello - unknown wildflower is silene latifolia (Caryophyllaceae). Fantastic blog - thank you. Thank you bajerowicz! I love having an unknown identified! yay! What a wonderful idea! I have lots of Campanula, too! Maya-Your pod prints are so cute. And so fun to do with the kiddos. Thanks for stopping by and commenting! I appreciate it. I will let you know how it all goes. Such wonderful ideas! I think that my kids would love this too, might try it tomorrow...after a trip to the park to see what we can find to print with. I think that counts as a full summer day activity. :) Looking forward to seeing the fabric that you made too. oh, how brilliant!! and beautiful! I can't wait to try this with the kids. Thanks so much for the awesome project! Hiee maya, you have such a lovely bubble space here and im so happy to have found you. :) You are an inspiration and im loving this pods craft! Have a lovely merry happy day and love to yoU! Oh my gosh! Here you are! 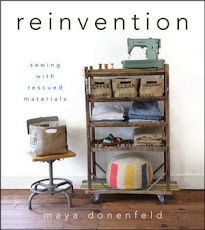 So long ago, I stumbled on your blog and read a post that I LOVED-about a sewing space in your barn, perhaps for your mother. Then, I lost you and NOW I've found you by reading the latest issue of Artful Blogging! This has made my day! Thank you! 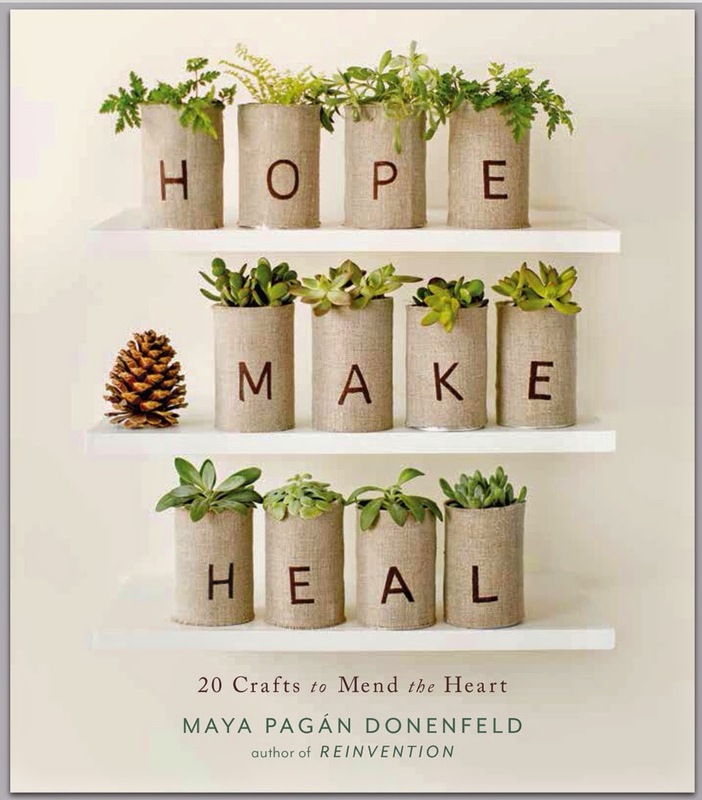 Maya, this is such a gorgeous idea! Nature is so beautiful, enhanced even more so with your artistic touch. I look forward to trying this wonderful idea! Beautiful! 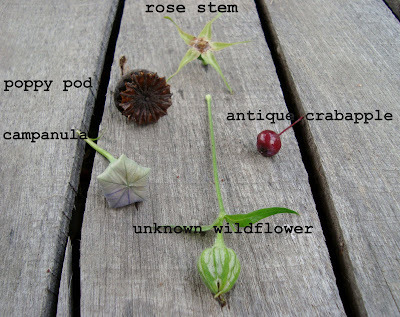 Might be a good project for outdoor art day! I love how your mind works and how your hands make it real.